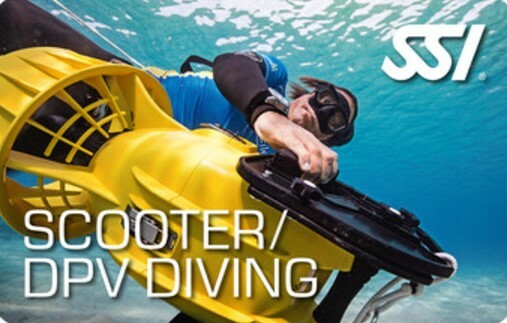 how to handle underwater scooters and dive vehicles – so-called DPVs. which safety precautions must be observed. how to communicate underwater with your buddy. how to control your equipment properly. Everybody can complete the course with an age of at least 12 years, who has already been successfully certified to the Open Water Diver. You can, of course, do all the theories with us online via eLearning..